Almost too E-Z! Effortless organizing at your fingertips will be a great addition to any mailroom, office, school, or store. Use compartments as a mailbox, material holder, or stationary sorter. Sturdy 3/4" furniture-grade compressed wood construction assures maximum strength and stability. Hardboard shelves form twenty-four letter-size compartments which hold up to 750 sheets. Individual compartment shelves remove to expand compartment size. Black plastic label holders complement finish. Quick and easy assembly with precision engineered cam-lock system. This consumer rating is based on 1 reviews of all Pemberly Row products. 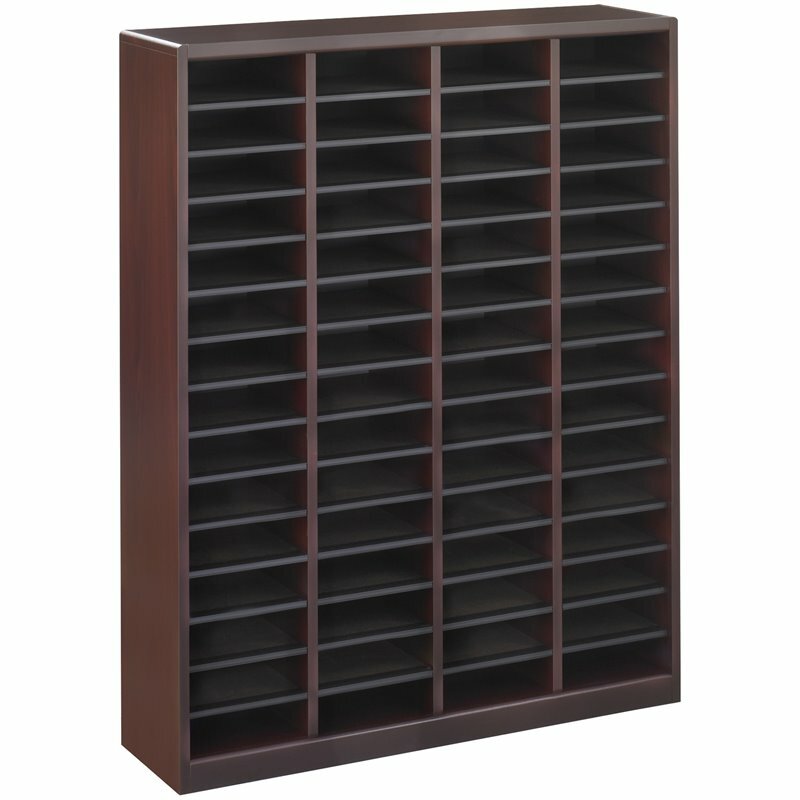 The Pemberly Row Mahogany Wood Mail Organizer - 60 Compartments has not yet been reviewed, be the first!